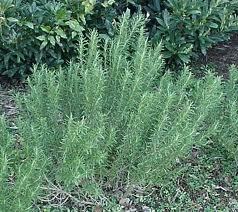 I first encountered rosemary in a little red, white, and blue metal container. It didn’t—and doesn’t still—sit on my mother’s spice rack. When I opened my own kitchen, I began widening my culinary horizons, and rosemary became an early experiment. I hate to admit it, but I produced the worst meatballs ever to be consumed by humankind, and my enthusiasm for rosemary cooled considerably…until I first came to Italy and encountered it fresh. I visited my friends John and Enzo in the village of Riparbella, not far from the Etruscan town of Volterra. 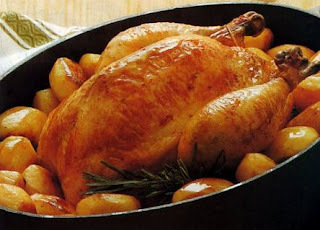 Enzo prepared roast chicken by sticking slivers of garlic into the flesh, placing more garlic, half a lemon, and a large sprig of rosemary in the body cavity, and coating the skin with olive oil. He placed it in a large baking dish surrounded by quartered potatoes. These were coated with more olive oil and anointed with additional garlic and rosemary. My reaction to this dish was akin to Julia Child’s introduction to sole meuniére, her first meal in France. I’ve been a fan of fresh rosemary since. Variations of this dish still dominate the Italian dining table for Sunday lunch. Rosemary, common throughout the Mediterranean, has long been an integral part of the culinary scene on the Italian peninsula. Archaeological evidence suggests that the Etruscans used rosemary to flavor their fish and meat as early as 700-300 BC. The Italian word rosemarino comes from the Latin ros marinus, meaning “dew of the sea.” The Romans spread the plant to England during their occupation, although it needs protection from the cold in that climate, and Italians took it with them to the Americas when they emigrated there. When I returned to the U.S. after that first experience here, I grew rosemary myself. It can survive outdoors in the Washington area, and rosemary graced my community garden for ten years. When I left the garden, I transplanted it (with the owner’s permission) to an area behind the building where I lived. It was an enormous plant by this time, and I had to rent a car to transport it. It thrived that summer, and when winter came, I gathered sprigs to hang in my kitchen, but I always clipped a fresh bit for cooking. Imagine my horror the following spring when I went out to gather rosemary to find the gardener had hacked it down. More than ten years later, I still get an empty feeling when I think about it. 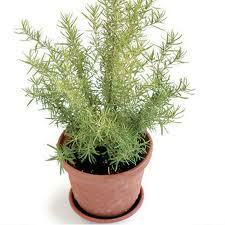 Here in Rome, I have rosemary in a pot on my fifth-floor terrace. I still haven’t gotten the knack for growing it in a container. Surprisingly, it doesn’t seem to like the summer sun, which is intense. But come autumn and winter, it will thrive again just in time for all those winter stews, roast chickens, and legs of lamb that I’ll enjoy. I'm cooking a goose come Friday night. Love garlic & rosemary! Oh Christine, lovely. I love the combination, too. With lamb, they also go very well.